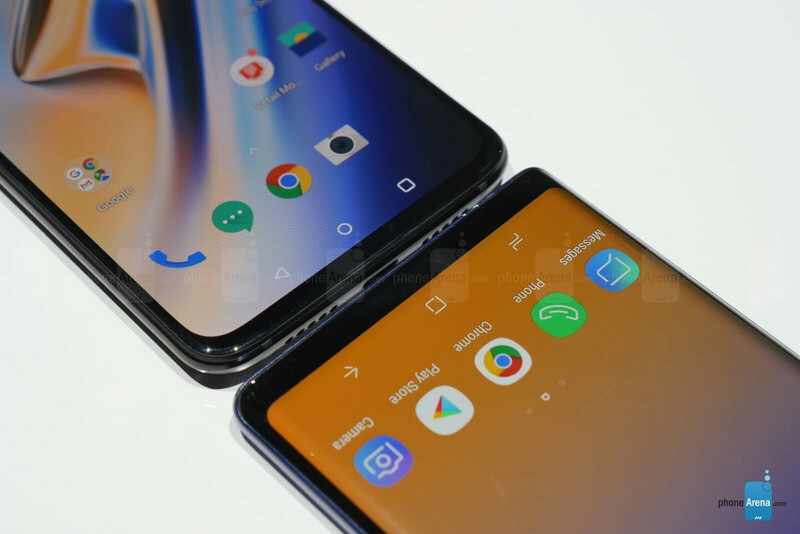 There are plenty of amazing Android flagships that were released within the last couple of months to compete in the upcoming holiday season. One of them is the best-of-the-best from Samsung’s camp, the Note 9, which is highly regarded as the no-compromise Android smartphone with features so rich, it puts everything else to shame. And then there’s the recently announced OnePlus 6T, which is an Android smartphone on the total opposite end of the spectrum – favoring value and simplicity to attract consumers. We spent a short time comparing the two, so here are our biggest thoughts about them! Without question, the biggest thing to cross our mind is the huge disparity in price between them! On one hand, the Samsung Galaxy Note 9 is one of those ultra-premium smartphones in the $1000 range. Whereas the OnePlus 6T is without question, the most aggressively priced smartphones with a starting cost of $549. Obviously, there are several factors that come to play with this gap. 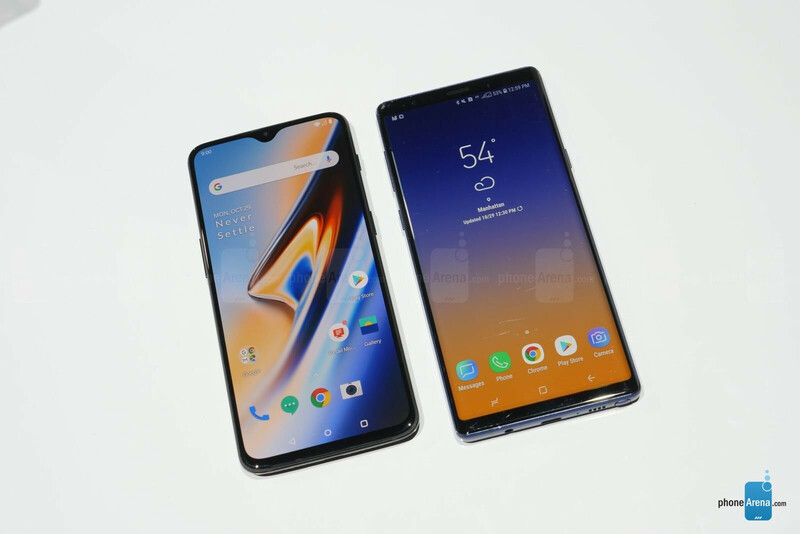 Specs-wise, there’s certainly a lot going for the Note 9 – like its higher resolution display, larger capacity battery, IP68 water resistant construction, expandable storage, wireless charging, headphone jack, and finally, the S Pen. Even on the software/experience side, the Note 9 towers over the OnePlus 6T, seeing that it comes with all those S-Pen specific features, the DeX experience, and much more! So yeah, the higher cost of the Note 9 makes sense in that regard, but the OnePlus 6T is still something we can’t overlook. Even though there are some things you won’t find offered by the OnePlus 6T, namely the aforementioned things above, it’s so irresistible because it’s powered by the Snapdragon 845, features a dual-camera system, and flaunts that fancy new in-screen fingerprint sensor. 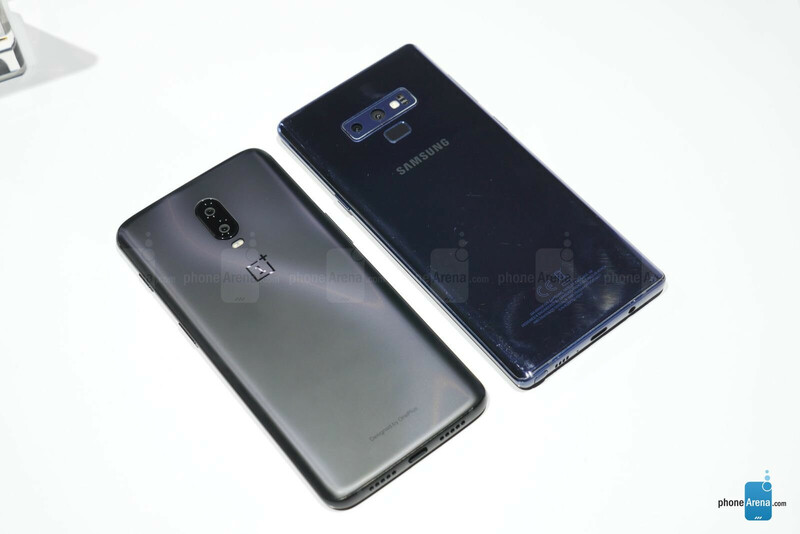 The latter, of course, is the marquee feature in the OnePlus 6T that you won’t get with the Note 9. Pricing is definitely a concern for many people, which is why the OnePlus 6T exists to give those with a budget something to strive for – and without being drained completely! Then there’s the intended demographic that each phone is catering to. When it comes to getting a lot of work done on the road with ease, the Note 9 is undoubtedly king in this arena – partly due to its emphasis on productivity and the advantage of the S Pen. That combination alone is what makes the Note 9 unbelievably attractive to professionals that want a phone that’s more than just a phone. The Note 9 clearly fills that void in many regards! Conversely, while the OnePlus 6T certainly has the basics covered, it doesn’t try to go after the same demographic as the Note 9. One look at its OxygenOS based experience is evidence enough, since it favors a cleaner look without adding any redundant features to the experience. 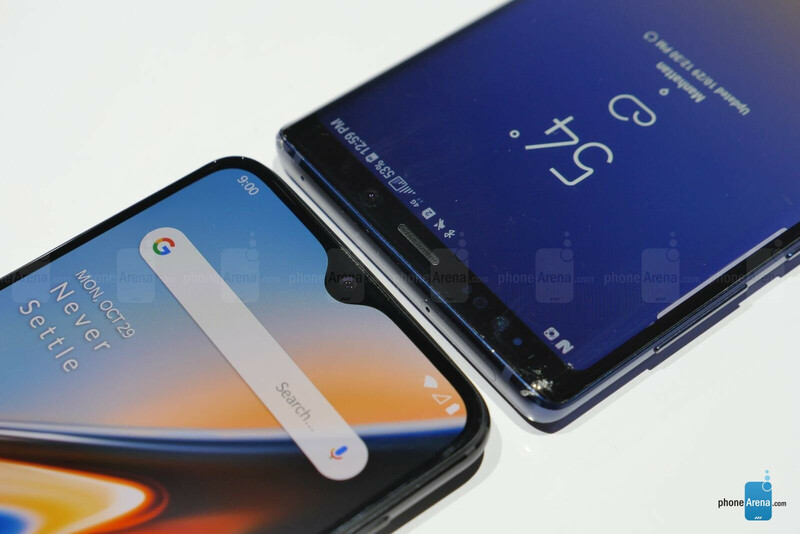 The last area we’re eager to see these two smartphones duke it out is how their cameras compare against one another. We’ve seen how well the OnePlus 6 managed to stack up against the competition during the first half of the year, but the OnePlus 6T is going to need to do even better to match the Note 9’s exceptional performance. By now, we all know the main benefit of employing a dual-camera system, namely for those slick looking portrait shots, but we’re actually more curious to see how Nightscape mode with the OnePlus 6T will enhance its low-light performance against the Note 9. It’s only a short matter of time before we find out! Keep an eye out because we’ll have a proper comparison soon enough! Going back to the pricing, it’s still a substantial difference because you’re paying nearly double the price to pick up the Note 9 over the OnePlus 6T. That’s a chunk of change, so for the sake of the Note 9, it’ll really need to outperform the OnePlus 6T in many areas to give any sort of credible reason for its higher price point. For android phone, this would be the best price compared to Note 9. Samsung is milking their costumers. As for iphone, well we know its the only phone that run iOS so they don’t have competition but rather a loyal fan base and the best ecosystem, so its fine, we’re rich and can afford. Note 9 has A better display - Basically the best display ever. Much better stereo speakers Always on Display Better Camera S-Pen Led Notification Light IP68 Water resistance Headphone jack . How many units did they sell already? 1 million so far. I just don't like how Note 9 looks, can't help it. As for CONS: display is solid one, but probably not deal breaker, couldn't care less about speakers AoD is a miss, but have to start using my watch then, Camera is so and so, good to have, but no biggie, S-Pen, tried, probably not pen person, Led notification is a miss, IP68 also, should have made the certification, headphone jack, again, need to dust it on my S7, so even happy about it missing. So I would say, the PROS/CONS list is getting more and more subjective over time. Me neither , I gave back my Note 9 and went back to my trusty S9 Plus.. for me the Note was uncomfortably a tad bit too tall.. . Got the Xs max , Will sell it soon , not using it as my second phone also.. My one plus 5t serves me very well as my second phone. The comments full of nonsense continue.